LATEST NEWS Aliya is going on tour in Jordan and Tunisia this summer as a Cultural Ambassador for the United States! 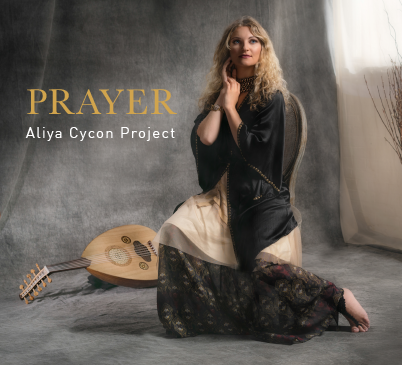 March 2018 Aliya visited the Godin Guitars headquarters in Quebec, Canada to demonstrate their 2018 model of the electric oud, the "Multioud Ambiance." Watch the demo video above! October/November 2017 Aliya finished an incredible 7-week tour where she gave 11 concerts and workshops across the world! In Tunisia, she performed at the home of the US Ambassador with the famous Zied Gharsa. Click the photo below to learn more. 8.7.17 ACP plays at Musikfest, the largest free music festival in the USA. 7.14.17 Aliya Cycon Project performs at their first ever music festival, the Green River Festival. Read a great article about the performance here. Photos in the Past Shows Gallery. 5.16.17 Aliya performed in Oslo for an audience of 900, as well as at the home of the Crown Prince and Princess of Norway as part of the Nobel Business for Peace Summit and Award Ceremony.